TAP Portugal (www.flytap.com) operates flights from Lisbon. Taag Angola Airlines (www.taag.com) runs a scheduled flight from Luanda, Angola. The airport is 5.5km (3.5 miles) from the town. From London - 21 hours (including overnight stopover in Lisbon); New York - 18 hours (including stopover in Lisbon); Lisbon - 8 hours. €20, payable in cash on departure for all international flights. 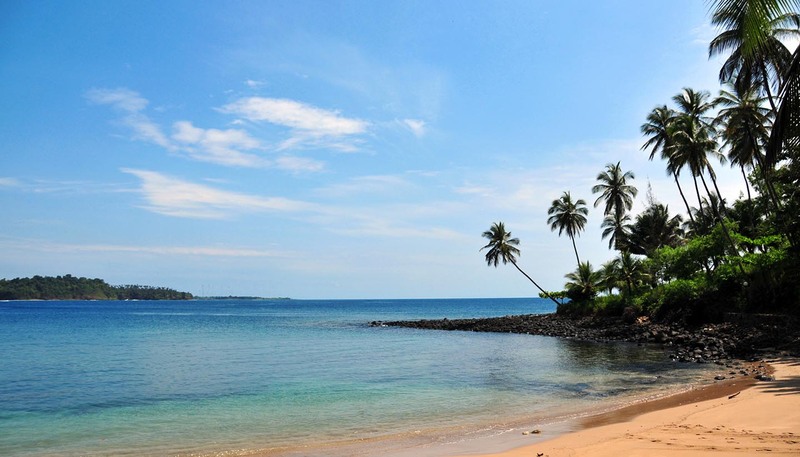 Main port: São Tomé, but this is not deep-water and few international cruise lines or other passenger ships call there; however, boats do sail there from Libreville and Doula.